The W-606 heated FID analyzer continuously measures Total Hydrocarbon THC/TVOC concentrations from low to high ppm values in either steam or water. Can be mounted horizontally in a rack, on a wall or instrument panel. 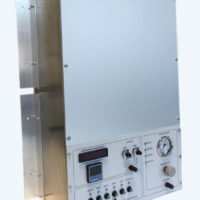 It is a fully heated FID analyzer designed to easily fit into a NEMA 4 Enclosure or to be integrated into a “Z” Purged enclosure to be operated in classified areas with explosion risk. 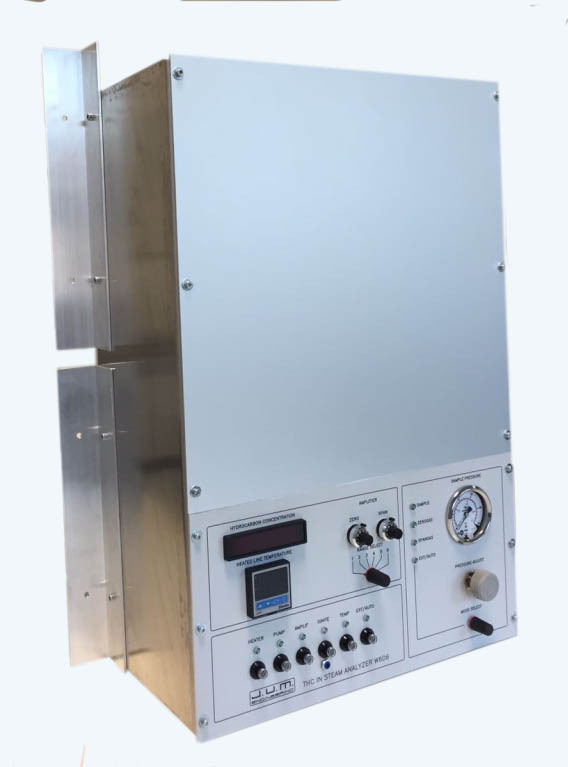 The Model W-606 uses a hydrogen flame ionization detector (FID) in a heated oven to prevent the loss of high molecular weight hydrocarbons and to provide reliable performance in the analysis of trace level of contaminants in high purity gases, air and other gases. All sample wetted components are integrated into the heated chamber. Separate inlet fittings for zero and calibration gas. While the W-606 gets its sample by controlled steam pressure with a maximum flow of 3 liters per minute, or by an external water pump with a controlled maximum flow of approx. 3 liters per minute. Internally in the heated analyzer oven the sample is extracted from the open bypass via the sample split assembly by the internal sample pump. A small amount of this sample is split off from the second bypass which is precisely pressure controlled to guarantee a small amount of a few cubic centimeters of sample through the sample capillary into the FID detector. The W-606 is equipped with our proprietary built in combustion air supply which significantly reduces maintenance and overall operating cost. No synthetic cylinder air needed! at 190°C, the standard transfer line is heated to 180°C.